Along with our power units, controls and filtration units, we have the ability to modify and assemble custom components. 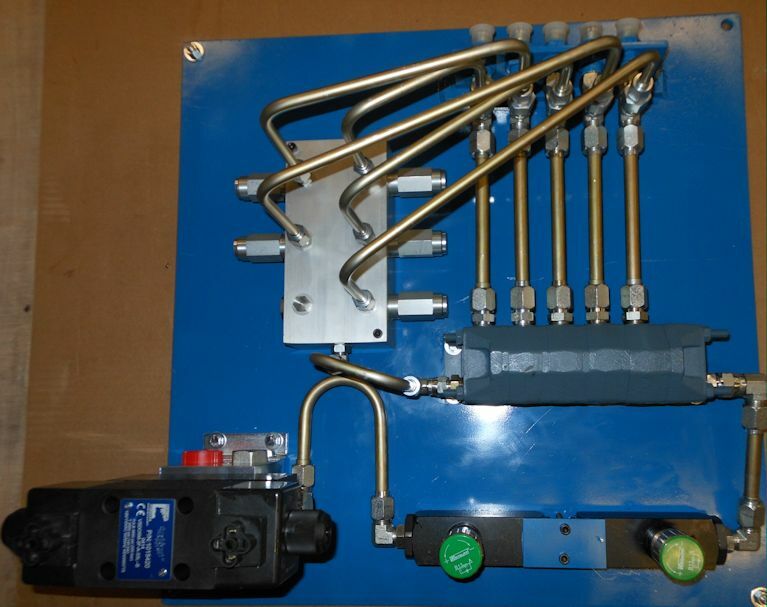 Example of our previous custom work include, but are not limited to, valve manifolds, accumulator frames, cylinder modifications, air prep component modifications and valve plate solutions. 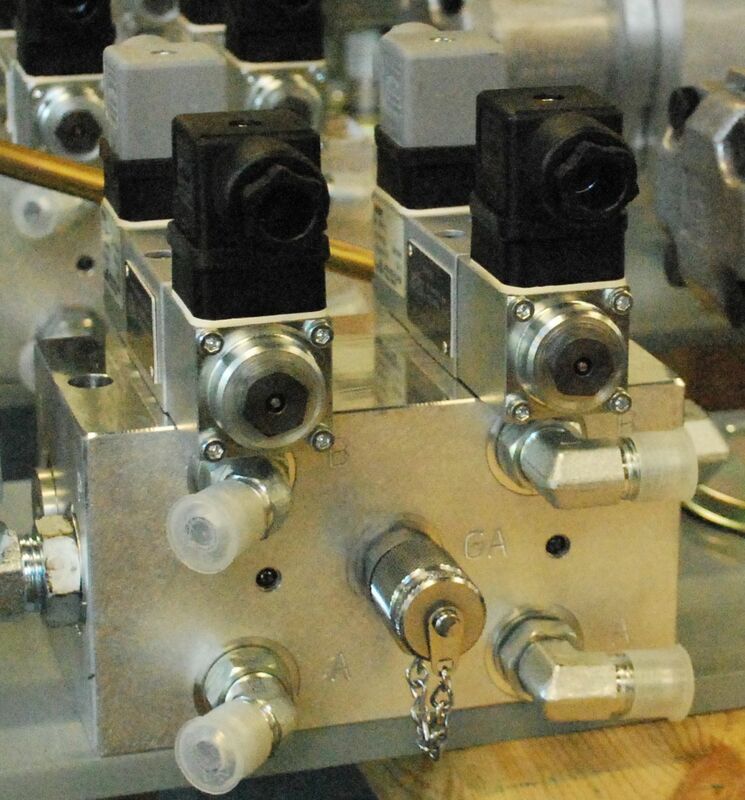 This custom compact valve manifold incorporates NG3 micro hydraulic valves from Wandfluh to reduce the space and weight of the assembly. 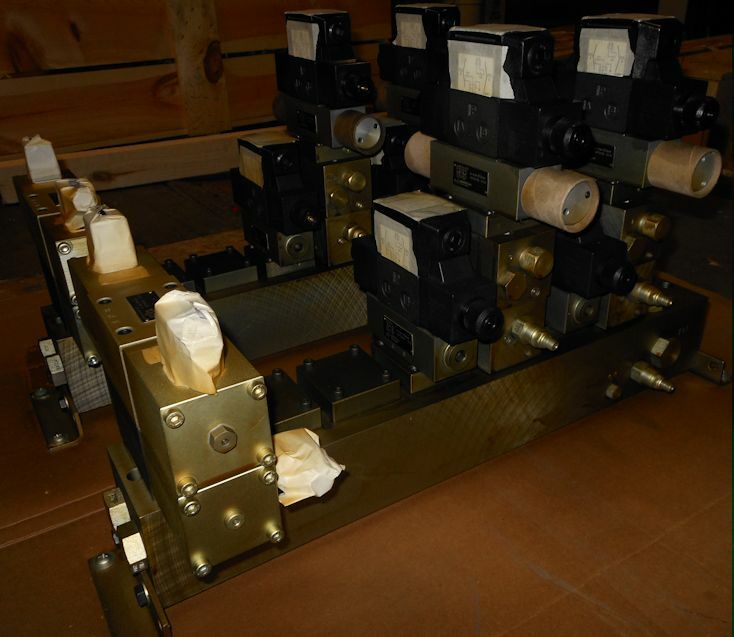 These two custom valve manifolds are used to operate a crane and is assembled with Wandfluh and Continental control valves. There is a coating sprayed on the manifolds to protect against the outside environment. This custom valve plate was built as a lift table with a five state flow dividered to lift five Milwaukee Cylinders evenly. This set of accumulators was built for a hydro dam. Their purpose is to shut the dam door quickly in case of an emergency. This power unit was built with two double gear pumps. These pumps provide three pressure outlets. They also allow another outlet for the cooling and filtering of the hydraulic oil. Using our shop guy Lonnie as a reference, you can see how tall the accumulators stand.